Are you looking for some one to make Custom Jewelry? or perhaps a design you developed? designs which reflect ideas and intent of purpose. 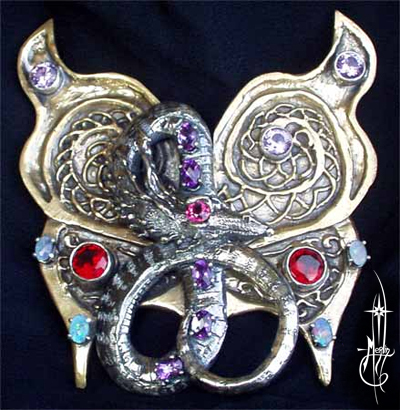 This Dragon-butterfly was a special cloak clasp requested by one of my clients. be sure to visit my gallery of designs created over the years. How to order Custom Page.